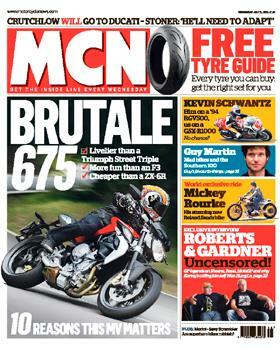 In this week's MCN, out July 11, we ride the all-new MV Agusta Brutale 675 in Italy. The Brutale 675 is aimed squarely at Triumph's class-leading Street Triple, but can the Italian manufacturer compete with the Hinckley firm? 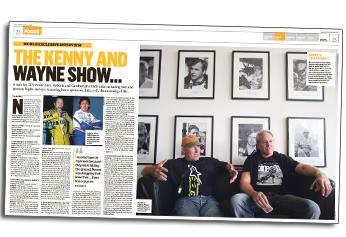 Also this week we have an exclusive interview with racing greats Kenny Roberts and Wayne Gardner. MCN rides with Kevin Schwantz round Mallory Park for the Festival of 1000 Bikes, Mickey Rourke's custom Softail ridden and Honda return to the Dakar. This week we also have a free tyre guide, detailing every tyre you can buy to help you choose the right set for you and your bike. Italian panache for the price of a mass-produced machine from the Big Four. 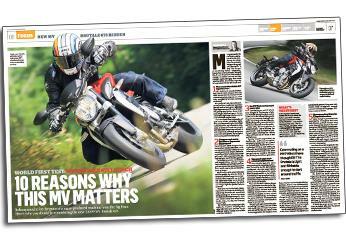 Here's why you should be considering the new £8299 MV Agusta Brutale 675. 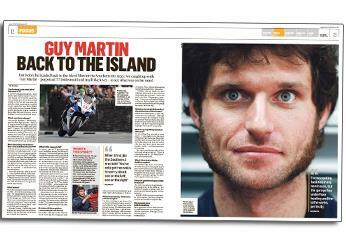 Just before he headed back to the Isle of Man for the Southern 100 races, we caught up with Guy Martin - perpetual TT bridesmaid and mad bike lover - to see what was on his mind. It started life as a Harley-Davidson Softail and ended up heading for a Hollywood star's garage after £50,000 of work. MCN rides a piece of art, carefully. 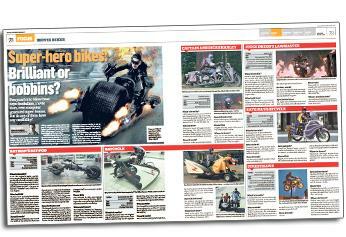 Super-hero bikes: brilliant or bobbins? Everyone's into bikes these days: footballers, movie stars, even computer generated super-heroes. But do any of them have any credibility? Three races. Three wins. 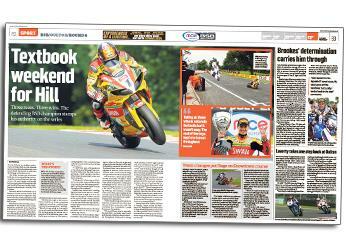 The defending BSB champion stamps his authority on the series. 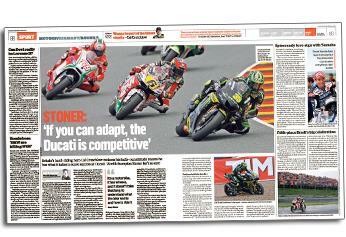 Stoner: "If you can adapt, the Ducati is competitive"
Britain's hard-riding hero Cal Crutchlow reckons his balls-out attitude means he has what it takes to score success at Ducati. World champion Stoner isn't so sure. Two-year deal for Valentino. 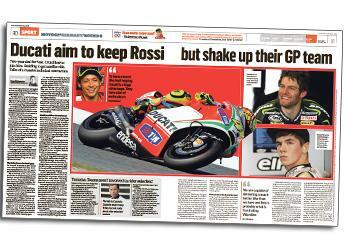 Crutchlow to join him. Reddnig to get satellite ride. Talks of a massive technical restructure. It's all change at Ducati. MV Agusta Brutale 675 first ride: "Really light and really small"